I distinctly remember hoping for a normal month in November in my last post. HA! I’ve been laid low with a particularly nasty cold for the last few days, which has also coincided with the depressing news from America on Tuesday. I also haven’t done any baking yet, so I thought I’d share my recipe for Middle Eastern baked eggs, shakshuka, instead. 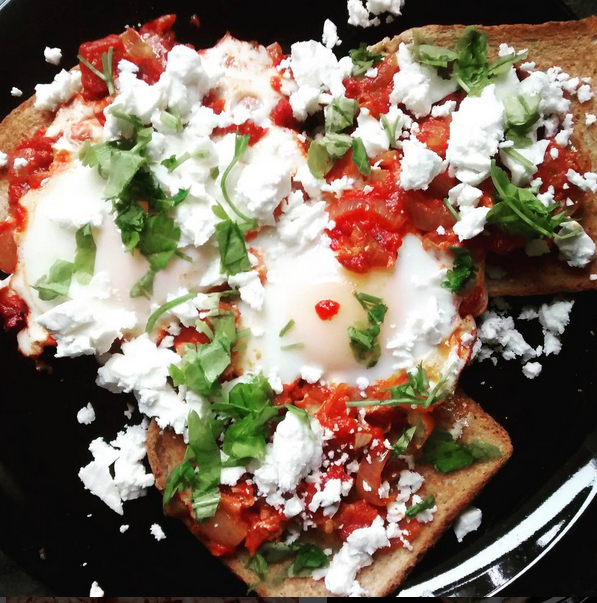 If you’re on Instagram, you’ve probably seen hundreds of photos of shakshuka breakfasts/brunches so far. It is a pretty photogenic dish, to be fair! 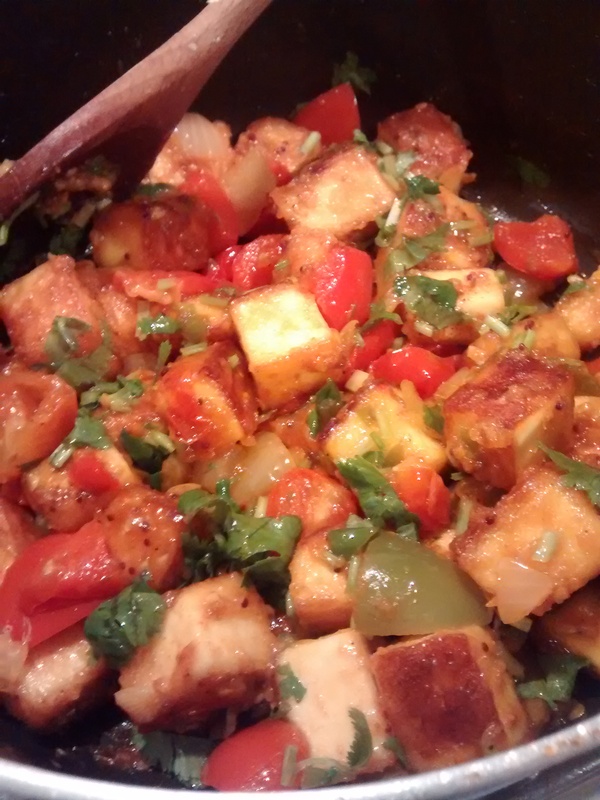 However, it’s also really tasty thanks to the spicing, and is very easy to make. The only slight downside is that it takes a little longer to make than your average scrambled eggs on toast, but it’s so worth it! 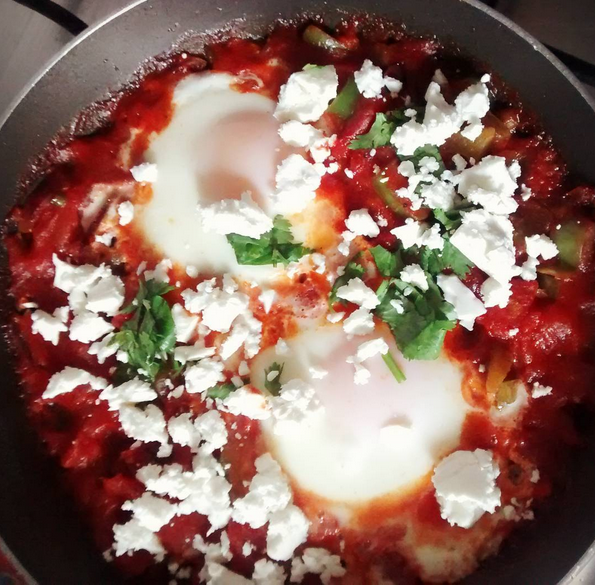 My recipe makes a rather spicy shakshuka, so feel free to dial down the chilli if you like. Also, despite the title of this post, I don’t bake the dish – I just use the hob and grill. But you can cook shakshuka pretty much any way you please (see my suggestions below). I’ve also listed some ways you can tweak this recipe to make Indian and Mexican versions of shakshuka. Cook the onion and pepper until softened. Add the garlic, green chilli and chilli flakes, and cook for 1-2 minutes. Add the tomatoes, seasoning, cumin, paprika and most of the parsley, saving some for the garnish. Simmer for 10 minutes until slightly thickened (the sauce will cook further after adding the eggs, so don’t let it get too thick!). Make indentations in the sauce for the eggs. Crack them into each little pocket, trying to keep the yolks whole! Cook for 5-10 minutes, uncovered, until the whites start to firm from beneath. Finish off under the grill for a couple of minutes to ensure the whites are set on top, while trying not to overcook the yolks. 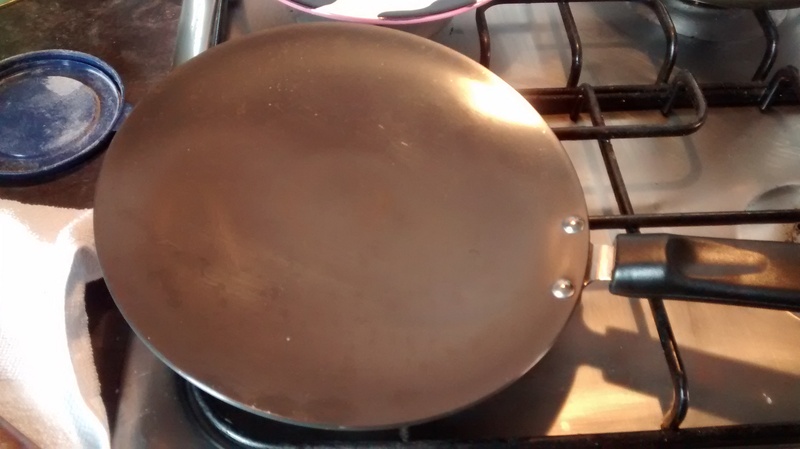 Alternatively, you can cover the pan after adding the eggs, but they cook quicker this way, so keep checking on them! If you have an oven-proof pan, you can also cover and bake the dish in the oven. Serve the shakshuka with your bread of choice and top with the feta or yogurt and the remaining parsley. A nice finishing touch is to sprinkle a little more ground cumin on the eggs, if you like. Add a teaspoon of grated ginger with the garlic and green chilli in step 3, and add turmeric with the ground spices in step 4 (you could also add 200g of cooked chickpeas here). Swap the parsley for fresh chopped coriander and serve with yogurt rather than feta. You could stir some cucumber, coriander, ground cumin, red chilli powder and salt into the yogurt to make a quick raita. You could also swap the pittas for mini naans. You could add 200g of cooked black beans or red kidney beans with the tomatoes in step 4. Add a teaspoon of cocoa powder or a couple of squares of dark chocolate and half a teaspoon of ground coriander at this stage too. Swap the parsley for coriander and the feta for soured cream (and/or guacamole if you like). Garnish with sliced jalapenos. 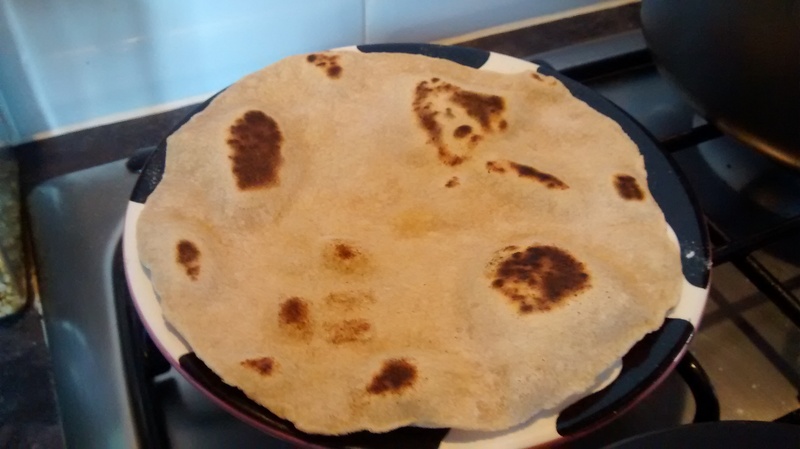 You could swap the pittas for tortillas or just some plain crusty bread. Happy new year! It’s been a while since my last post, which isn’t just because I spent the Christmas break sitting around playing video games and stuffing my face with mince pies (I totally did, though). 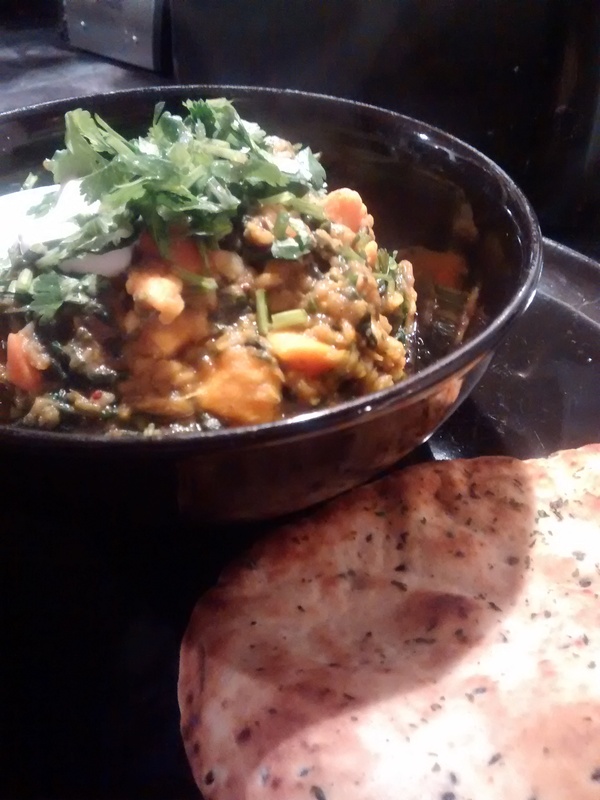 I haven’t really baked anything new in a while, so I thought I’d make my first post of 2016 all about this delicious and super healthy sweet potato, red lentil and spinach curry I made tonight – perfect for those well-intentioned new year’s resolutions. 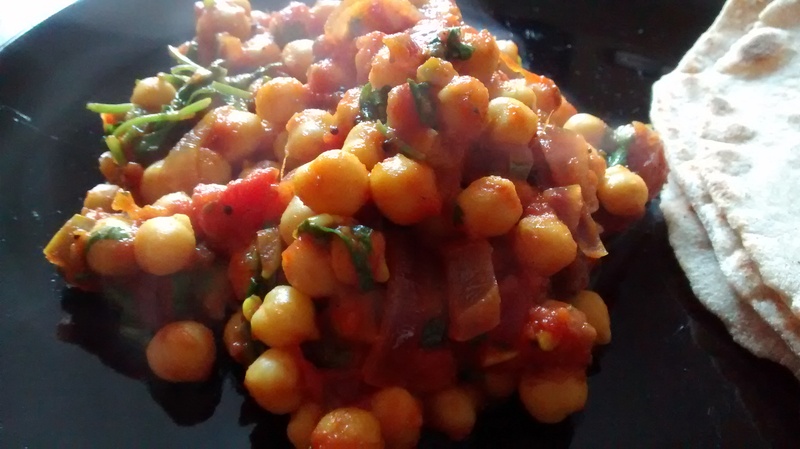 This is another variation on my staple curry recipe, with some small tweaks to tip the spicing towards a heady note. 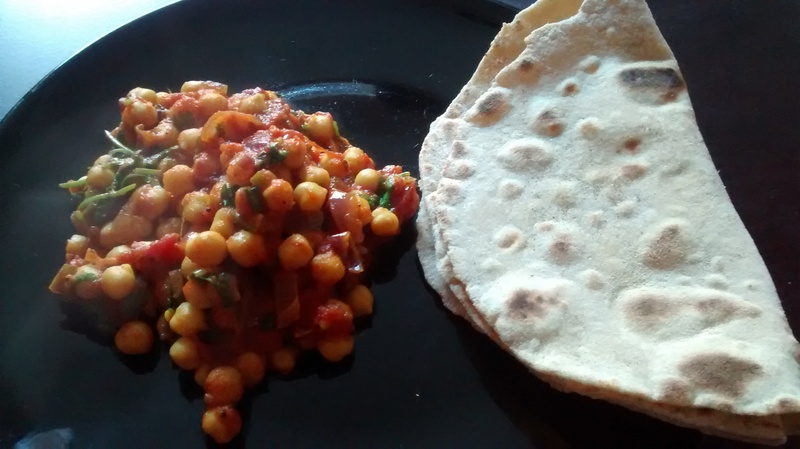 I made a similar curry for my other half a while ago, and he was obsessed with the clove flavour coming through from the garam masala (which I make myself). My current garam masala blend isn’t quite so clove-y, so I’ve added some ground cloves to this recipe, along with extra ground cumin. The great thing about this recipe is how flexible it is – you can swap out the sweet potato and/or carrot for butternut squash or standard potatoes (top tip: red potatoes work best in curries, as they seem to soak up the flavours better than the white variety), leave out the spinach if you don’t have any to hand, throw in some split yellow lentils or even chickpeas instead of the red lentils… Just adapt it to whatever you have in the kitchen! 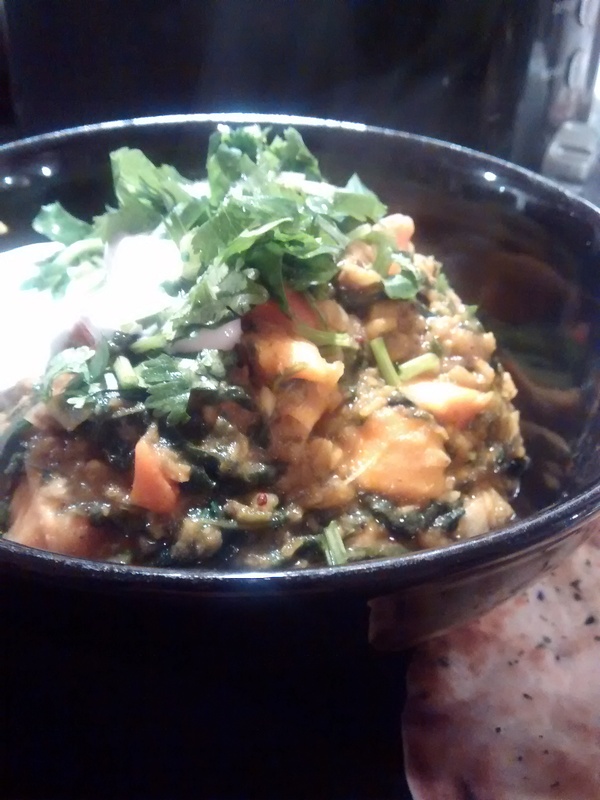 Did I mention that this curry is super healthy? Yes? Well, I’ll say it again – this is so good for you. I’m pretty sure you get your five a day with this recipe, and the vegetables are packed with all sorts of lovely vitamins. 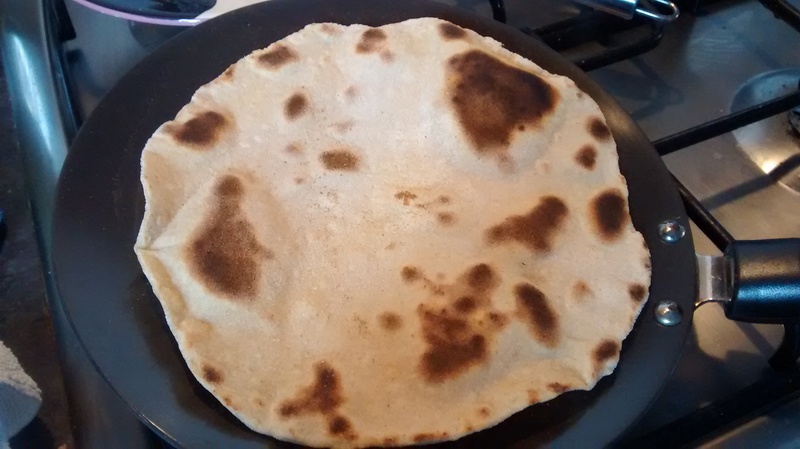 If you stick to my measures, the curry itself clocks in at around 400 calories, with yogurt and whatever carbs you fancy (chapatis or naan are ideal, but rice works fine as well) adding a bit extra on top. 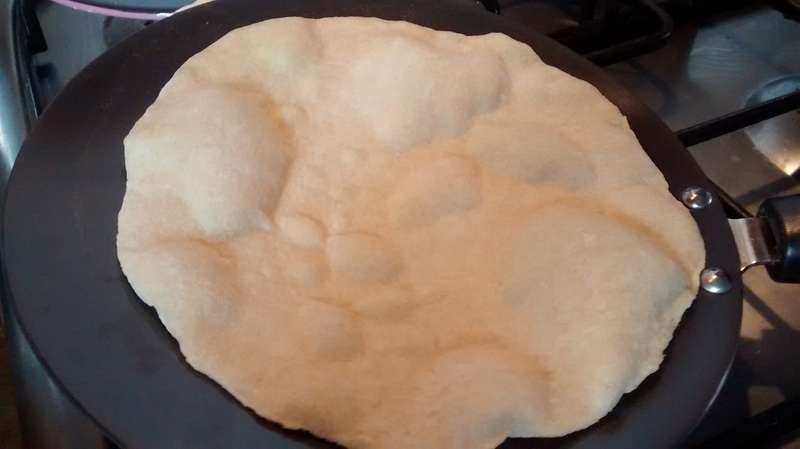 I had a mini naan from Tesco with mine (I couldn’t quite face making chapatis after my first day back at work! ), which only added 127 calories to the total. Do give this a go if you want something comforting during the winter months, but without the fat. I promise that it’ll cheer you up! 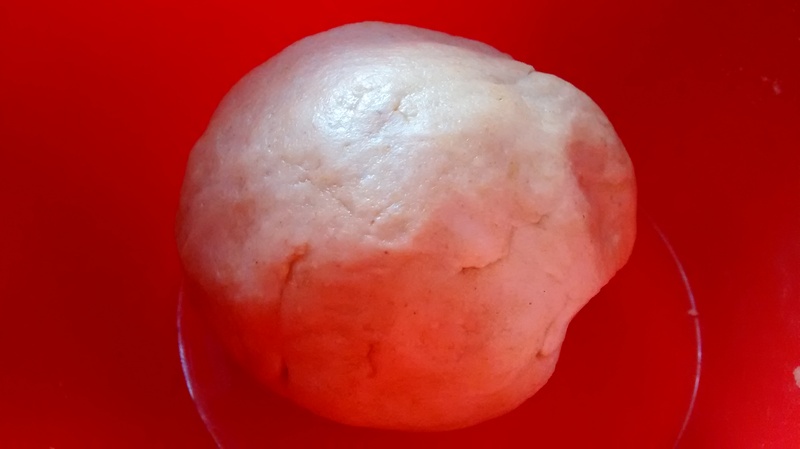 In the meantime, I’ll think about something interesting to bake for the next post… all suggestions are welcome! Heat the oil in a saucepan and add the cumin seeds and mustard seeds. If using whole cloves, add those too. Add the green chilli, ginger, garlic, red chilli powder and turmeric and cook – still very gently – for a couple of minutes, stirring frequently to prevent sticking. Stir in the sweet potatoes, carrot, red lentils and tomatoes. Pour in enough hot water to just about cover the contents of the pan and bring to the boil, before putting a lid on the pan and simmering on a low heat for 20 minutes. Check occasionally to make sure nothing sticks to the bottom of the pan, and top up with water if required (but try not to, as the spinach will release water anyway). 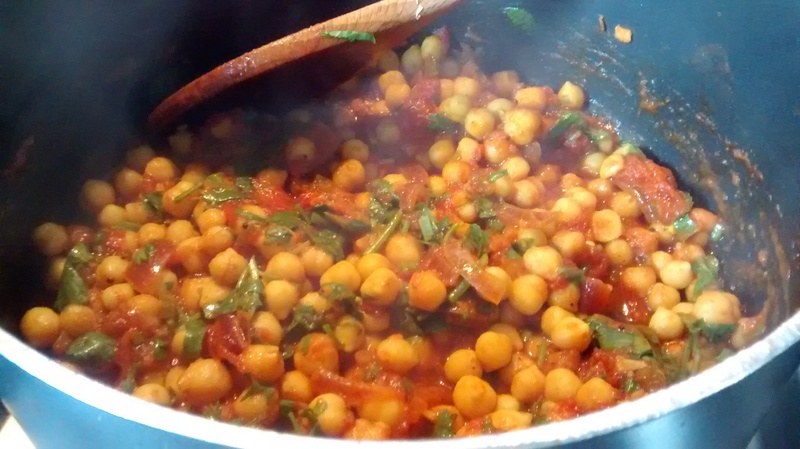 Take the pan off the hob and stir in the ground cloves, ground cumin, garam masala and coriander. Season with salt to taste. Remove the whole cloves if you used them (but don’t worry if you can’t find them – just warn any guests!). Serve with a dollop of yogurt and naan, chapattis or rice as desired. As you or may not know, we had Diwali and the start of the new Hindu year earlier this week. 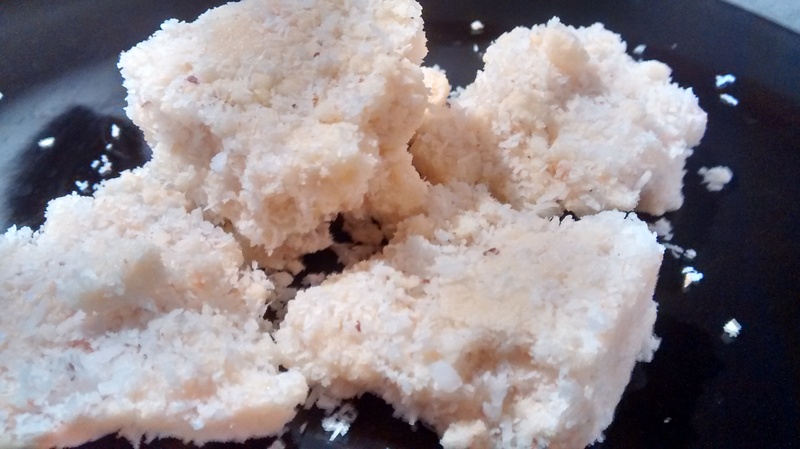 For the first time in a few years, I couldn’t take the day off to go to the temple with my mum, so I settled upon trying my hand at making Indian sweets for the first time courtesy of an easy-looking recipe for coconut and cardamom barfi. Indian sweets (also known as mithai) are notorious for their richness and sweetness thanks to the copious amounts of sugar and dairy that go into them. They definitely are the Marmite of Indian cooking – most people either adore them or can’t stand them. Needless to say, having grown up with Indian sweets being wheeled out for every celebration and occasion you can think of, I absolutely love them! Sweet-making is a bit of a fine art, so I thought I’d make just one type of Indian sweet and concentrate on perfecting it. I found this recipe for coconut and cardamom barfi (or burfi, if you prefer not to think about a certain bodily process when stuffing yourself full of sweets) on the Guardian website, and thought it looked like a good entry-level recipe. Of course, things didn’t go quite to plan! As you can see from the photo above (the only one I took, sorry! 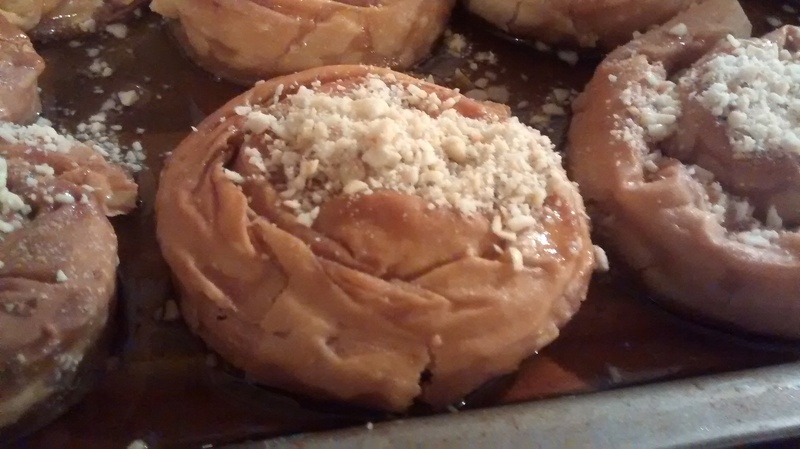 ), the sweets turned out a bit crumbly, when the texture is supposed to be slightly soft and hold together as a result. Unfortunately, I overcooked the cream and sugar syrup – I wanted to be cautious and keep the syrup on as low a heat as possible to avoid burning, but when it still hadn’t got to the thread stage after 10 minutes, I turned the heat up to speed things up a bit… for a bit too long. I did use a thermometer halfway through to make sure I had the right temperature (one website informed me that I was looking for somewhere near the 110C mark), but either it didn’t work or the website was wrong! 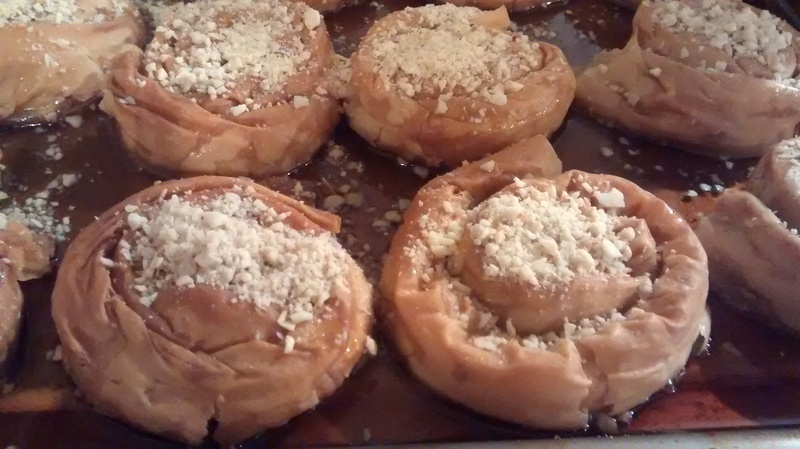 I persevered anyway, as I knew the sweets would at least taste good even if they didn’t look quite right. And they did! 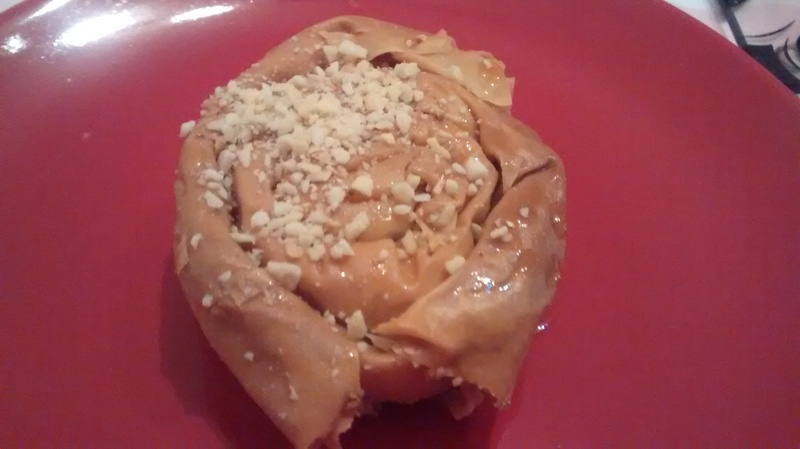 I used fresh cardamom from the pod that I ground in a spice grinder rather than use ready-made cardamom powder, which I think intensified the flavour nicely against the sweet coconut. I would definitely try this again now that I have a good idea of where I went wrong. I’d like to experiment with different flavours, especially almond, pistachio and rose, so stay tuned for next Diwali…!